Other organisations wishing to be featured on this site can do so by sending their details to chardwatchproject@gmail.com or through the Contact form. The W.A.T.CH Project is always looking for other organisations with which to collaborate on community projects and grant applications. Organisations looking to get involved with the W.A.T.CH Project can download any relevant information at the bottom of this page. Other organisations looking to signpost people to the project may be interested in reading the Become a Member section of this site. More information will be available soon. Chard Town Guide – www.chardtownguide.com Discover Chard and all it has to offer. Local services, businesses, clubs and activities, places to eat and stay and what’s happening in Chard Today. 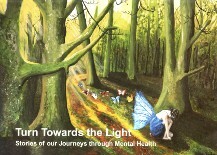 Mind – www.mind.org.uk – Mind are a mental health charity, offering help and support for people with mental illnesses. Somerset Partnership NHS Trust – www.sompar.nhs.uk – Somerset Partnership NHS Foundation Trust is a provider of a wide range of safe and effective community health, mental health and learning disabilities services in Somerset. Turning Point – www.turning-point.co.uk -Turning Point was created to help people find a new direction in life. They can help you tackle substance misuse, mental health issues, a learning disability, or employment difficulties. Time to Change – www.time-to-change.org.uk – Campaigners against mental health discrimination. Rethink – www.rethink.org – Rethink provide over 250 services for those with mental health services and over 150 support groups, helping more than 60,000 people a year. The Magdalen Project – www.themagdalenproject.org.uk – Magdalen helps people from right across the community to engage with nature, better understand the environment, and to start off on the road toward sustainable living. Somerset Mental Health Forum – somersetmentalhealthforum.wordpress.com – The Somerset Mental Health Forum is an opportunity for Charities concerned with Mental Health and Wellbeing to band together, share experience, pool expertise and raise concerns as a group about Mental Health services in Somerset. BBC Somerset join us for time to talk day. January 2019 Newsletter: Happy New Year! Enter your email address and click 'subscribe' to get WATCH Project news to your email inbox.